University of Maine at Farmington sophomore Kaitlyn Bartlett (Chesterville, Maine) was the hero of both games in a doubleheader sweep over the Bates College softball team on Monday, as the visiting Beavers won 8-5 in Game 1 on the strength of a grand slam by Bartlett, and took Game 2 3-0 with a complete-game shutout authored by Bartlett. 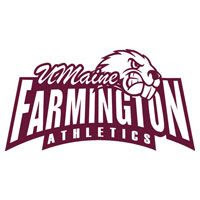 UMF evened its record at 9-9, while Bates dropped to 5-9. Bates junior Lauren Dobish (Chambersburg, Pa.) hit a double to left center field in the third inning, her sixth this season and the 27th of her career, moving her out of a tie for the team record with Stacia Saniuk '09, now a Bates assistant coach. Dobish's double pushed junior Courtney Talcott (Sutton, Mass.) to third base, but both players were left stranded, two of the nine that the Bobcats left on base in the first game. UMF put four runs on the board in the top of the first inning on a two-out grand slam hit to left field by Bartlett, her second homer this season. The Beavers then scored single runs in the third and the fourth innings for a 6-0 lead. Shannon Mitchell hit a leadoff double in the third and scored on a fielder's choice hit by Bartlett, her fifth RBI of the game. In the fourth, the Beavers hit three straight two-out singles, including an RBI hit by McKell Barnes. Bates got back into the game with four runs in the fifth, highlighted by sophomore AnnaMarie Martino's (Plymouth, Minn.) bases-loaded, three-run double. Prior to Martino's hit, Dobish drove home junior pitcher Kristen Finn (Winthrop, Mass.) from second base with a single. UMF responded with another run in the sixth and one more in the seventh to keep Bates at bay. The Bobcats scored one in the bottom of the seventh, but on the same play as a double play recorded by the Beavers, and the rally was put out one batter later. First-year Emma Vaillaincourt (Saco, Maine) earned the win to move to 4-5, despite allowing seven hits and issuing six walks. Finn took the loss, allowing the Beavers nine hits and three walks while striking out seven, to drop to 3-5. After hitting the grand slam in the first game, Bartlett was the hero for UMF in the second game, too, but from the mound. Bartlett limited Bates to five hits and one walk while striking out three in a complete-game shutout. She outdueled Bates sophomore Caroline Gattuso (North Reading, Mass. ), who pitched an effective game, allowing three runs (two earned) on five hits and three walks with four strikeouts. The Beavers scored a run in the top of the first, as first-year Amy Jones (Augusta, Maine) led off with a double and later came home on an errant pickoff throw attempt. The score stayed at 1-0 in UMF's favor through six innings, when first-year Liz Sargent (Trenton, Maine) hit a two-out, two-run home run to left for a 3-0 cushion. Bartlett then stranded two Bates baserunners in the bottom of the seventh to preserve the win, improving her record to 4-2. Gattuso dropped to 2-4. Pitchers: Me.-Farmington - Emma Vaillancourt and McKell Barnes. Bates - Kristen Finn and Leah Maciejewski. HR UMF - Kaitlyn Bartlett (2). Pitchers: Me.-Farmington - Kaitlyn Bartlett and Meaghan Donnell. Bates - Caroline Gattuso and AnnaMarie Martino. HR UMF - Liz Sargent (2).